Growing up in Buffalo, NY, Brad has been working in the restaurant industry since he was 15 years old. In Buffalo, Brad worked with James Beard awarding winning Chef Mike Andrzejewski at Seabar before heading west to Sun Valley, Idaho where he worked at the Trail Creek Cabin. 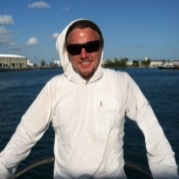 In 2011, Brad moved to the Florida Keys, first working at the Ocean Reef Club in Key Largo, and then with Chris Otten and Chris Shultz at 2 Cents Restaurant.